SpeechPro’s state-of-the-art voice biometric technology proved its excellence in law enforcements all over the world. As the problem of identity theft and fraud is acute for the last decade SpeechPro’s speaker verification technology can be applied to fight against it. 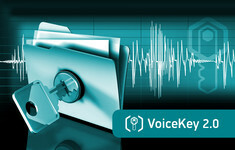 The SpeechPro’s core product to satisfy the commercial market requirements is VoiceKey. Images on this site are for example purposes only and may differ from the actual product. Full product specifications are available on request.